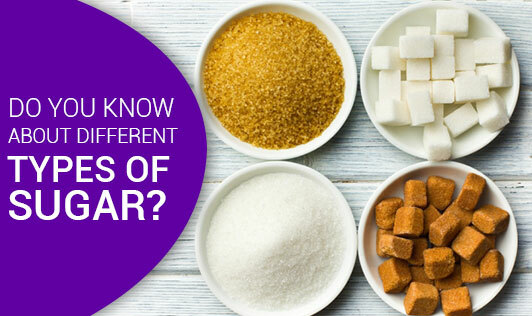 Do You Know About Different Types Of Sugar? You've heard a lot about how bad refined sugar is for your health, enough to think twice before putting that bag of white sugar into your grocery cart. Right next to the white sugar are some options that seem like they might be just a bit healthier. Do you have these questions in mind - what about raw sugar? Are these "natural" sugars really better for you than refined white sugar? Or, at the very least, are they a little less bad for you? Molasses is what's left over from the sugar refining process. It's everything that gets taken out when you refine sugar cane into white sugar. Evaporated cane juice (such as Florida Crystals) is, as the name implies, made from sugar cane, never sugar beets. It's slightly less refined and so it retains a bit more color and flavor from the sugar cane. The tan-colored crystals have a slight caramel or molasses aroma. If the crystals are large and coarse, it's also known as Demerara sugar. Turbinado or "raw" sugar is also a dehydrated cane juice. It retains a bit more of the natural "impurities," so it's even a little darker and the molasses aroma and flavor is a bit more pronounced. The idea of calling white sugar "refined" and raw sugar "natural" is a little silly. All of these sugars are natural in the sense that they all come from plants. And all of these sugars are refined. They've all been extracted from cane or beet and dried into a crystalline form. The ones that we call "natural" are just a little bit less refined. They are not 100% pure sucrose, like white sugar. They might be only 99% pure.